The greatest mathematician of antiquity; born in Syracuse about 287 B.C. His influence on Jewish literature was not extensive. Only two of his works have come down to us in a Hebrew translation. 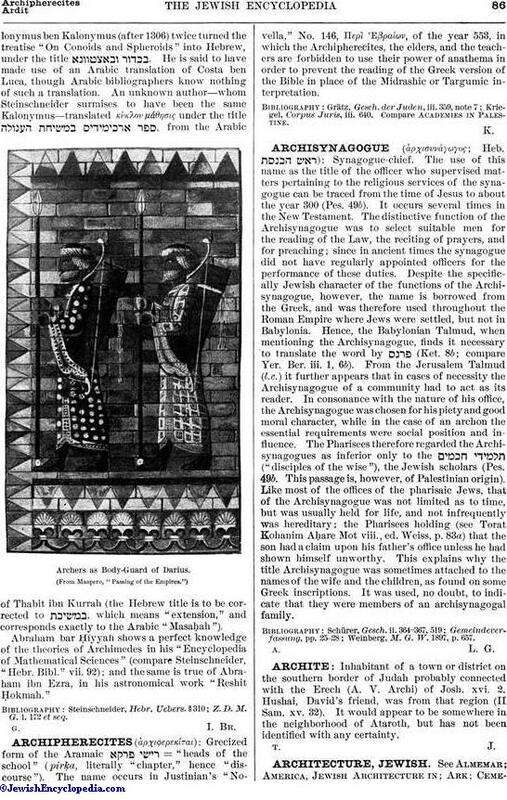 Kalonymusben Kalonymus (after 1306) twice turned the treatise "On Conoids and Spheroids" into Hebrew, under the title . He is said to have made use of an Arabic translation of Costa ben Luca, though Arabic bibliographers know nothing of such a translation. An unknown author—whom Steinschneider surmises to have been the same Kalonymus—translated κύκλου μάθησις under the title , from the Arabic of Thabit ibn Kurrah (the Hebrew title is to be corrected to , which means "extension," and corresponds exactly to the Arabic "MasaḦah"). 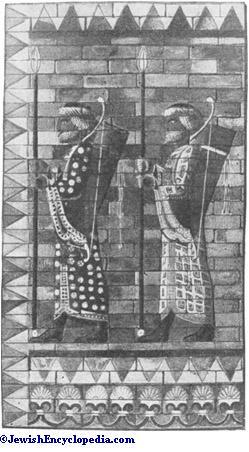 Archers as Body-Guard of Darius. 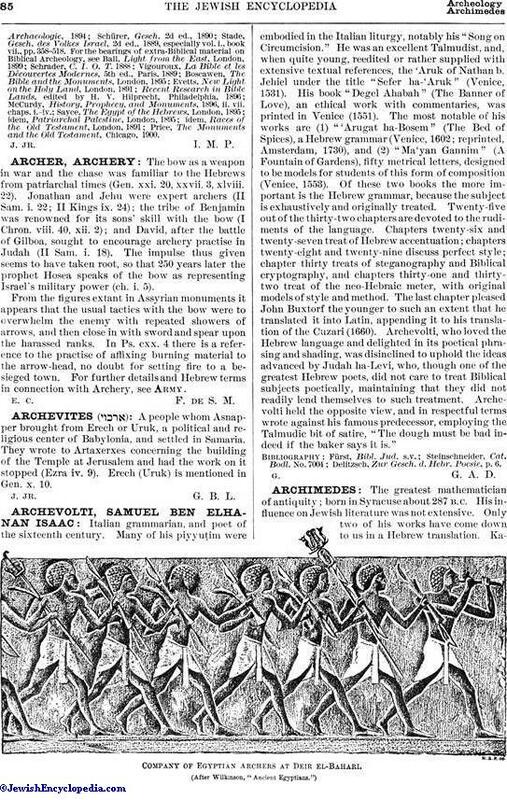 Abraham bar Ḥiyyah shows a perfect knowledge of the theories of Archimedes in his "Encyclopedia of Mathematical Sciences" (compare Steinschneider, "Hebr. Bibl." vii. 92); and the same is true of Abraham ibn Ezra, in his astronomical work "Reshit Ḥokmah." Z. D. M. G. l. 172 et seq.